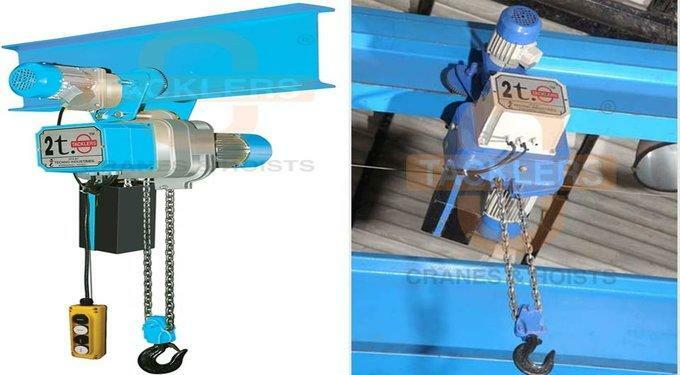 The Electric Chain Hoists from the "TACKLERS” brand are offered in 6 capacities ranging from 0.25 Ton to 5 Ton. 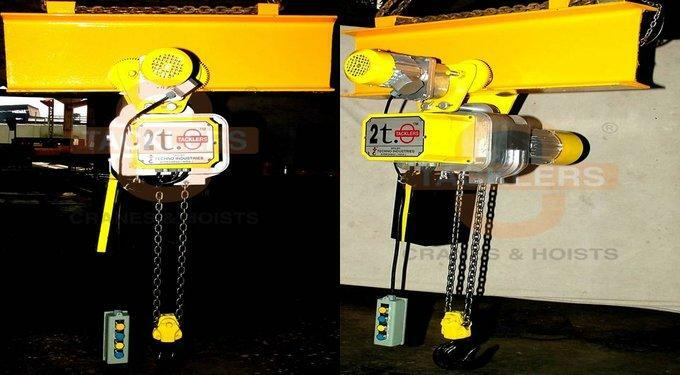 Electric Chain Hoist comprises of compact aluminum Alloys cast body. The Slip Ring Clutch is provided for assured safety. The Hoist is coated with high Gloss, anti-corrosive coated finish to enhance the aesthetic beauty of the product. Also inbuilt Control Panel and an ergonomically designed pendant control for better handling and efficient usage. A swiveling bottom hook which provides free rotation during handling of loads. The Gears and Load Chain Wheel made from precision-machined and case-hardened alloy steel ensures long life and noiseless operation. Gears are made out of Nickel-Chrome alloy steel, duly hobbed and hardened. A wide surface of Gears ensures a long life. There are totally enclosed squirrel-cage induction Motors, specially made for hoist duty with high starting torque and suitable for frequent starts / stops. The heavy duty Electro-Magnetic Disc type fail, safe A.C. / D.C. Brakes are provided.